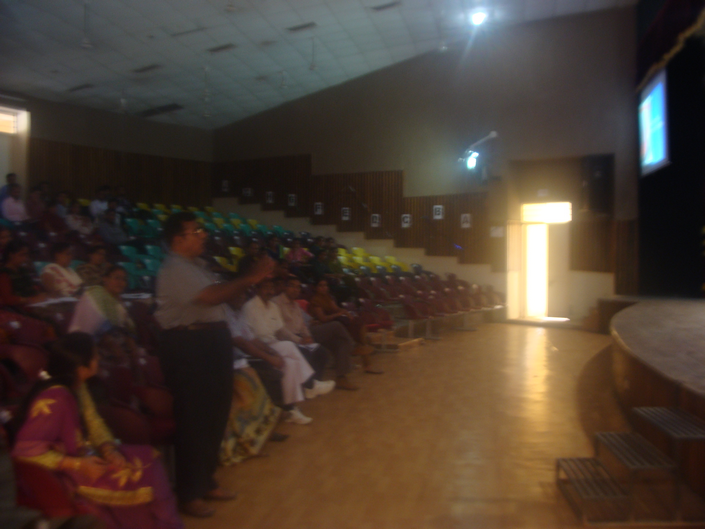 Shodhganga User Awareness Programme at Hemchandracharya North Gujarat University Patan (Gujarat) on 6 September 2013. 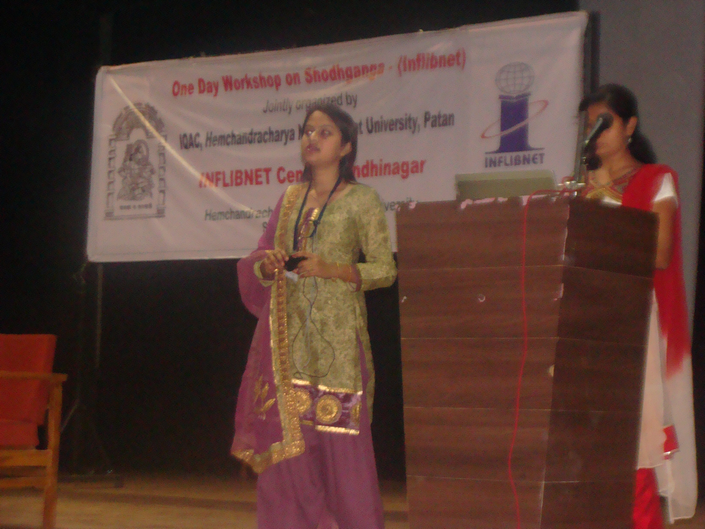 One-day User Awareness Programme on Shodhganga was jointly organized by the INFLIBNET Centre and Hemchandracharya North Gujarat University on 6th September, 2013 at Rangbhavan Auditorium, University Campus, Patan. 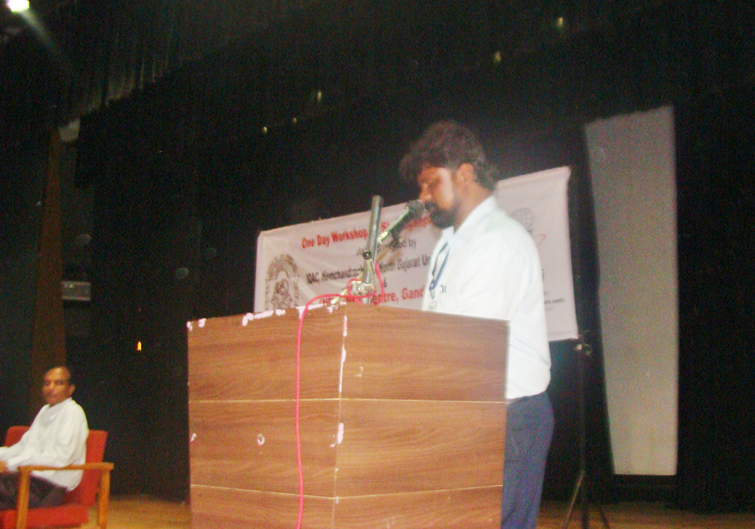 Dr. S. A. Bhatt, IQAC Co-ordinator, Hemchandracharya North Gujarat University (HNGU) welcomed the guests and participants. 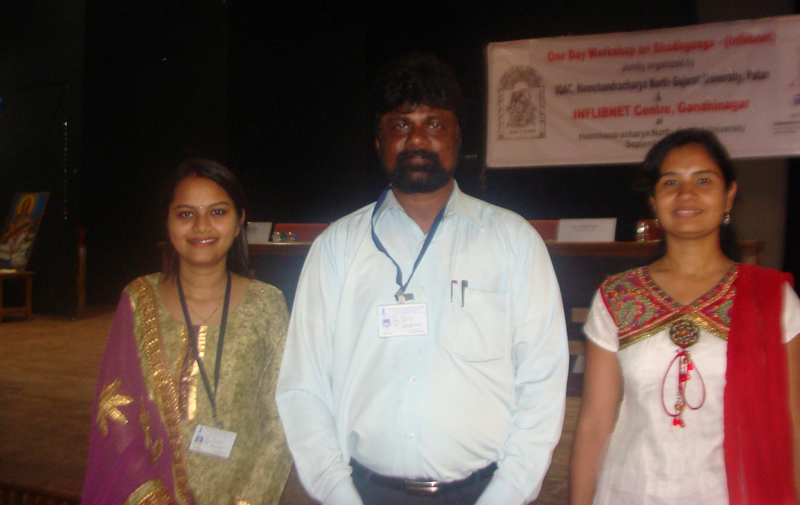 He highlighted the research work carried out at HNG University. Dr. J.H. 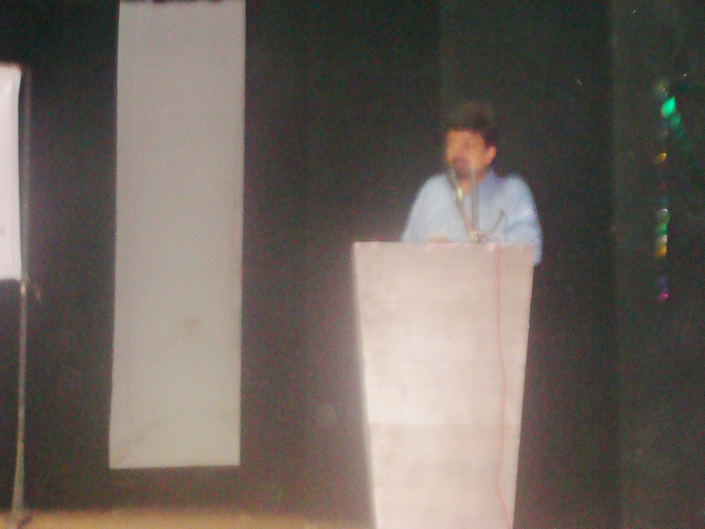 Pancholi, Formal Pro Vice Chancellor inaugurated the programme. 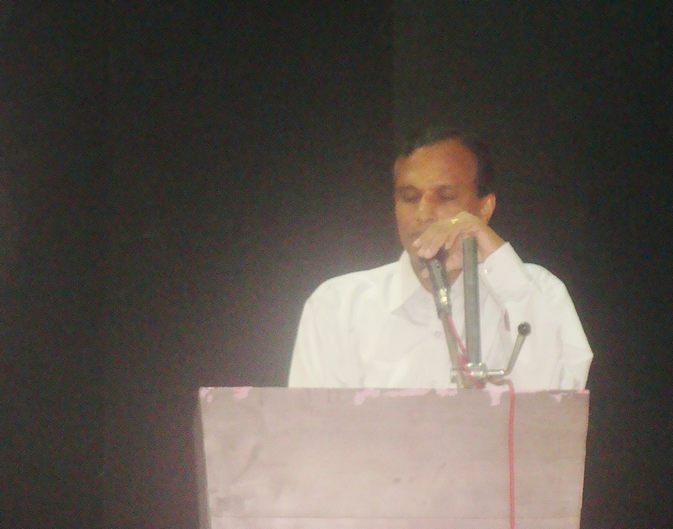 Shri Manoj Kumar K., Scientist-D (CS), Smt. 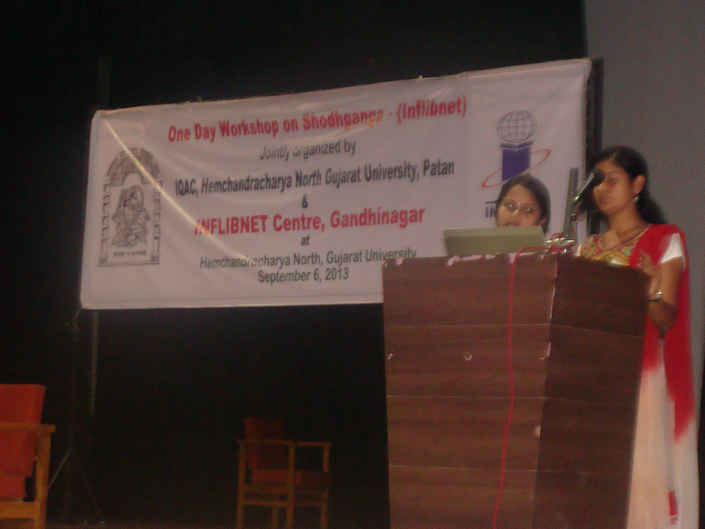 Archita Muchhadia, Project Officer (LS) and Ms. Sneha Acharya, Admin Associate, INFLIBNET Centre were resource persons for the training programme. Shri Manoj Kumar made a detailed presentation on “Shodhganga: A Repository of Indian Theses & Dissertation”, “Shodhgangotri: a Repository of Research in Progress” and guided the research scholars and research supervisors on access to various information and academic resources. Smt. 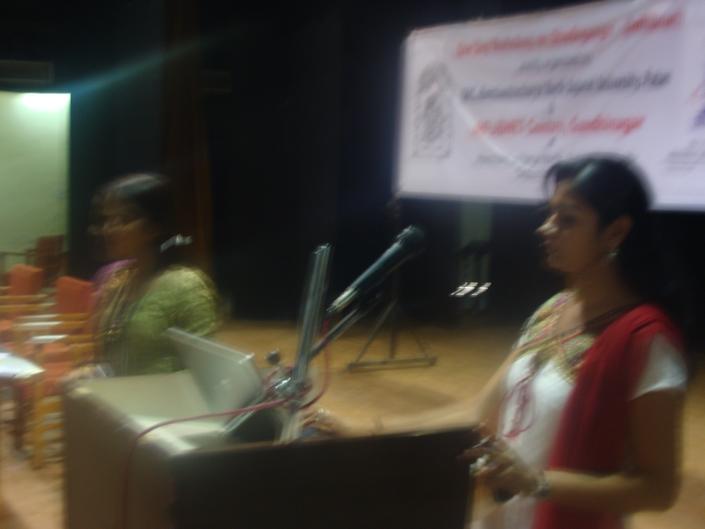 Archita Muchhadia, Project Officer (LS) and Ms. Sneha Acharya, Admin Associate, INFLIBNET Centre imparted technical training to all participants. 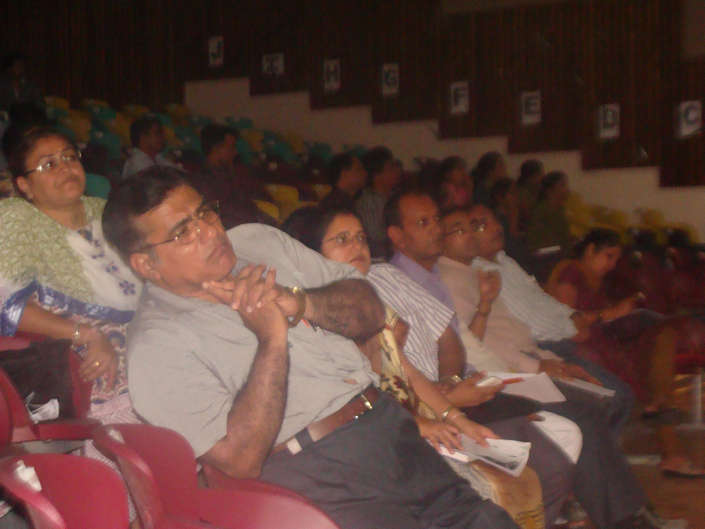 Dr. Ashwin Modi, I/C Head at Department of Hospital Management, HNGU, Patan was coordinator of this event. 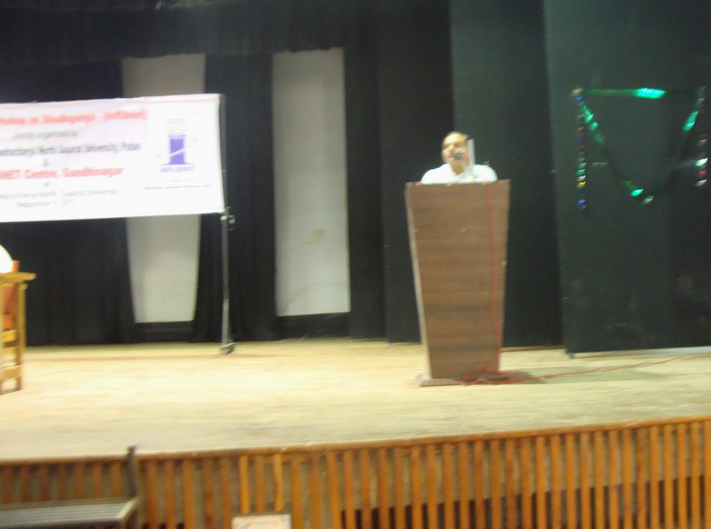 Dr. D. M. Patel, Registrar (I/C), HNGU extended a warm vote of thanks to participants, university authorities and INFLIBNET Centre. 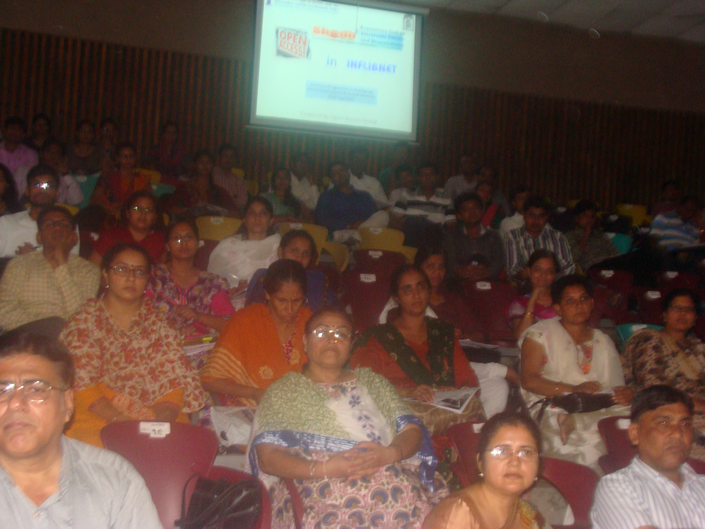 More than 150 participants including faculty members and research scholars attended the programme.